Chereece has maintained both good reliability and unchanging availability which means she is able to be permanently allocated to the clients she visits. One of her regular clients, Mrs PW she has connected with very well. She visits her twice a day and has done so for the past 3 months. One month ago Chereece noticed a change in her client's behaviour and suspected that she had suffered a small stroke. She called the emergency services who confirmed she was right. Very recently Mrs PW was again very poorly and the emergency services as well as her GP visited. The following day when Chereece visited she noticed that her client had not eaten anything and her condition had not improved. Suspecting that something else may be wrong, Chereece used her initiative and encouraged Mrs PW to give a urine sample which she then took to the GP's surgery. Soon after that her client was admitted to hospital where she still remains. Chereece showed best practice throughout and communicated very well with everyone throughout her time caring for Mrs PW. Her example of team work is also to be commended. Despite the paramedics not admitting her client after their first visit and the GP finding nothing untoward, Chereece remained vigilant of Mrs PW and kept her Supervisor and the office informed of all developments. 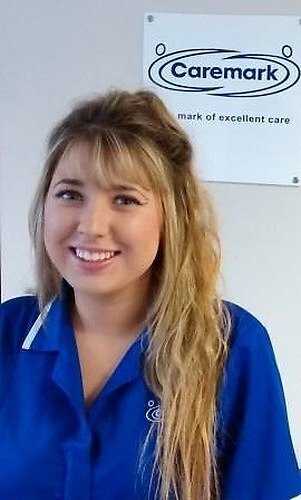 Although only a young Care Worker, by taking the urine sample to the surgery she displayed maturity, clear thinking and initiative that ultimately led to Mrs PW being admitted to hospital where she needed to be. Well done Chereece - we are very proud to have you as a member of the team!